My name is Sharon Bull and in September 2013 I set up in self-employment as an inspirational speaker, writer and poet under the name of ‘A Compassionate Voice’ The sole purpose, to creatively help others through my own experiences with mental health issues, recovery and well-being. Since this time, I have re-built and transformed life by reigniting my childhood passions and filling the void my addiction left with the simple things in life. I owe a great debt of gratitude though to wildlife and nature. After being stripped bare of all I valued materialistically, it was wildlife and nature that reopened my heart and reminded me who I truly was – a woman who, as a little girl, wouldn’t shoo a pigeon, who spent most Sunday afternoons picnicking in the countryside. A woman who, even at the height of her hard-hitting career, still wouldn’t tread on a spider. 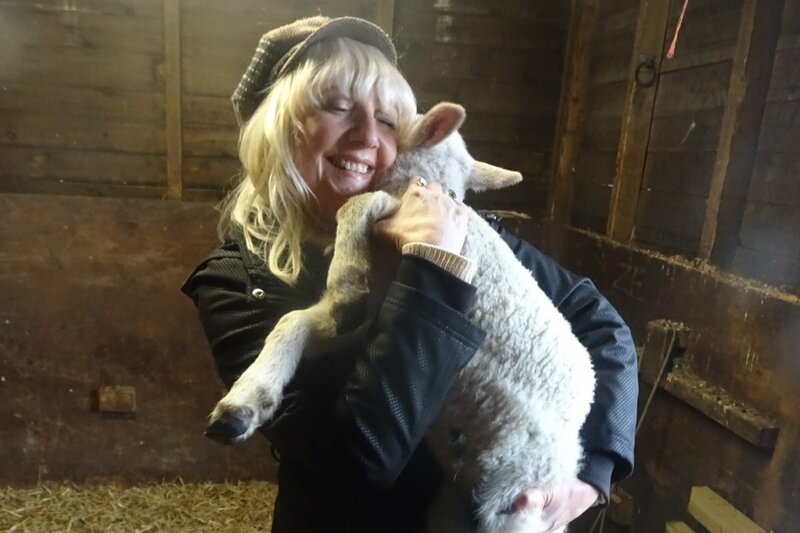 Passionate about the welfare of children and animals, a lover of wildlife and nature, I also use the written and spoken word to influence compassion, kindness and respect for all living beings and the environment. Over the past few years I have also visited a number of animal rescue sanctuaries. Humanitarian havens away from the media and technology madness. These sanctuaries are not only heaven on earth for the rescued animals. For me, they are wonderful retreats. They are places of tranquillity, where devotion to a cause leads the way and my personal wellbeing is revitalised. My vision over recent years is to unite children, particularly the vulnerable and disadvantaged with animals and nature. Children are the ambassadors of the future, so for me it’s of the utmost importance that we educate them about our connection to nature and other living things. A similar concept to ‘Wish Upon a Star’ I would initially arrange for children to have guided visits to rescue sanctuaries and nature reserves in the UK. Kick starting this campaign with a goal of £1000 for funding, I am hoping with my ambition and drive to push the funding way over this target. This is a long-term commitment, a project which I am determined will succeed. One which will eventually allow volunteering at sanctuaries in the UK and abroad, nature holidays and witnessing wildlife wonders in the wild.